In studying any proposition of branding, the team that made it [the originating founders,] those that run it [the Circled C-team]—those that suggest the potential of a meaningful relationship—[L. relatus, “to carry, as in a story”]; and those that carry that story as a reflective journey—“this is now my story,” there is an intimate telling, in the recesses of the consciousness of the brand. Something there that would suggest a deeper metaphor, a journey within: “this brand helps me feel better about me,” or “this brand, what they’re doing, what they believe in—it’s something that I can believe in as well.” As a person, I’m perpetually focused on the quest for meaning, which comes to two tiers of action. Talking to you, I’d be thinking “what does he really mean?” And talking to clients, asking questions, I’m looking for “what does this person see as their mission—their promise to the brand, and what does this mean for the brand?” What do they mean, what does the brand mean? 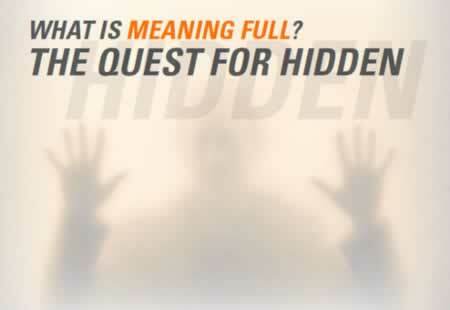 And finally, what’s meaning? Meaning as a word comes from an ancient seed sound, PIE: men—which is the foundation for meaning as well as mind. To understand the most ancient roots of language, and the theories that words we use today could’ve been part of an ancient matrix of archetypal sounds, you can walk into this quick overview—helpful as a beginning point. Looking for meaning, I go back. And back. And back. 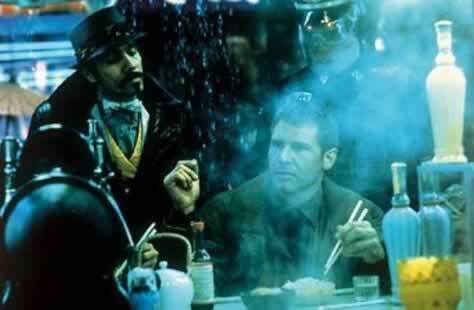 What’s hidden in the “back” could be the future: amalgam tongues like Ridley Scott’s rendering of future talk—city speak—in LA, Bladerunner. But in any questioning of meaning—whether it’s “what do you mean, what does that mean, what is meaning?” it might be about a proposition of “what lies beneath, what’s open and obvious and what is hidden?” Hidden is “occult,” it’s not only that which is on the surface, but lies in the layering of what lies within. 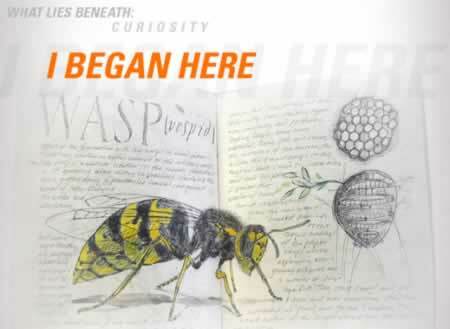 If you’re studying brand, you realize that transitioning—either in a revolutionary construct or as a sliding evolution—are just there: the spiraling curl of the volute, heart of revolution, heart of change and the heat of making: new where old once was. Design is about the embrace of change. And any brand, over time, has to freshly attach to the conception of transition in continuously and resiliently responding to shifts in the market. The sliding interests of the community—whether global or international—must be reflected in the evolution of relatedness of branded enterprise. So too, the practitioners of brand management, design and market communications—what are you looking for, how will you transition, what changes will you make. If your head is in the clouds, drifting in the mist of cumular ideals, perhaps others should join in—so there are many navigators of the cloudmind®. Each relationship to the community of brand development evolves in the sentiment of product ideation, origination and strategies and their outflow to messaging and imagery—the genetics to the “whyness,” and the warp and weft of identity in the loom of the marketplace. This blog entry reiterates a theme for me that is: “if you’re exploring your brand, this should be a team-based investigation, not one alone, but the cloud of the team—touching points as a cooperative, a collective exploration, and like the cloud, it’s not a controllable entity, it can be guided, but might drift unexpectedly, offer new insights, drift, mist, rain. That cloud is a metaphor unto itself, it’s cumular and relates to theories of cumularity. 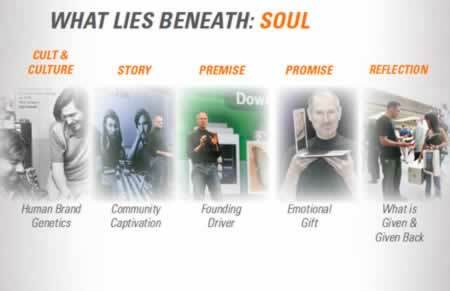 I’ve given talks on this and GIRVIN’s BrandQuest® process goes there, every time, to the heart of the brand, its teams and the quest for meaning. Once, to the surprise of some, I gave this as a talk in a presentation to a conference, in a keynote address, in Bend, Oregon; the event was a collective called WebCam—a combination between Web+Creative and Arts Marketing, so-called. But, to the concepts of transition, this is a story. About GIRVIN, the firm; and about my personal evolution of strategy and exploration. For me, the idea of design is a describing that alters the landscape of experience—it’s an arcing that moves the experiencer from one plane to another. It is, to the use of language, a de-scribing. To reference the verbal alignments, etymologically, there are ancient Latin precedents that reveal themselves in our use of language in 1340, from Latin descriptionem, from stem of describere “write down, transcribe, copy, sketch,” from de– “down” + scribere “write” (see the reference to script below). Moving forward in time: “describe” (1513) is a reconstruction from the early Latin, replacing earlier descrive(c.1225). And there’s a calligraphic connection, as there might always be, for me: “script,” to my practice has particular relevance, in the application of the letterform, the written word as well as calligraphic interpretations in the translation of content. Script has ancient derivations, perhaps ranging back 5,000 years or more. And the idea of exploring the history of the seeds of language, is for me a kind of added journey. The patterning continues: “script”: from the Proto Indo European (PIE *skreibh– (cf. thence moving to the Greek, skariphasthai “to scratch an outline, sketch,” Lett / Latvian: skripat “scratch, write,” Old Norse hrifa “scratch”), from base *sker– “cut, incise” (cf. Old English sceran “cut off, shear;” see shear) on the notion of carving marks in stone, wood, etc. Examining words, as anyone that knows me would attest, is a never-ending fixation. Why? Because there is more to the word, and the history of them then meets the casual observance. Going back, you learn more. Go deep(er). 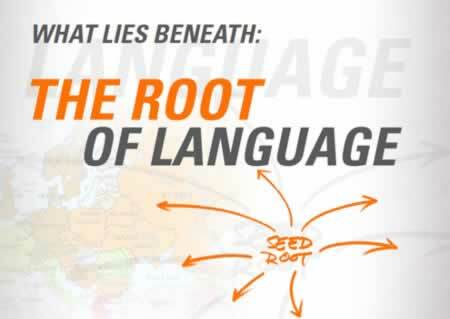 The foundation of going deeper, in language, is about the principle of a seeding of language — eastern Europe, west of India, north of Iraq — as the beginnings of language that forms the opening sounds of linguistics and meaning. In exploring the true meaning fullness, going back to the heart of the word sounds is what is called Proto Indo European — the beginnings. 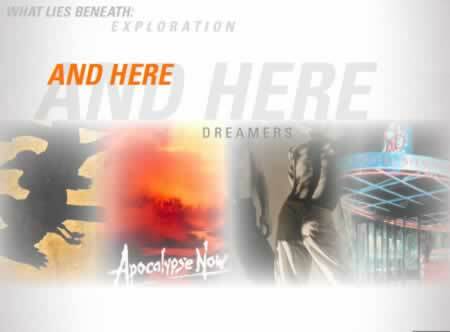 But this exploration is all about that: excavation. 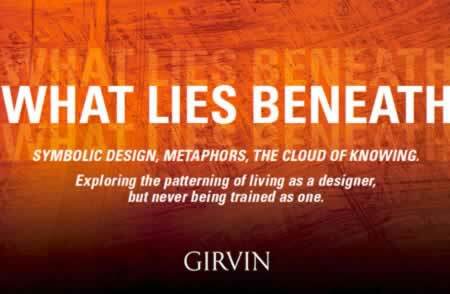 Going deeper into the nature of design, and the meaning of it for me and the work that I, and GIRVIN, does. 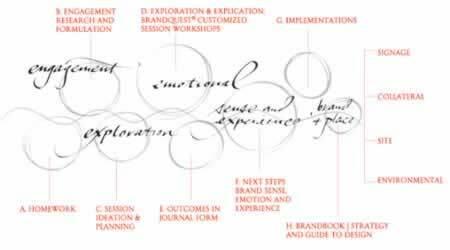 More, to exploration of meaning in design and development of creative solutions for the telling of stories in brand. 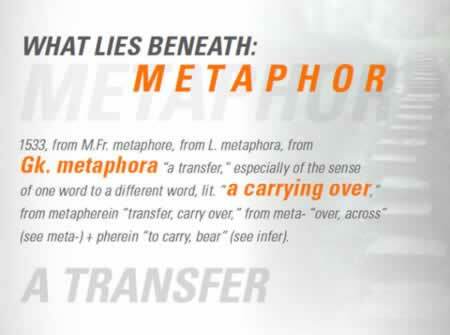 The concept of the metaphor is, from the history, a notion of a transfer, a carrying. Any design is about that — the transfer of ideas. 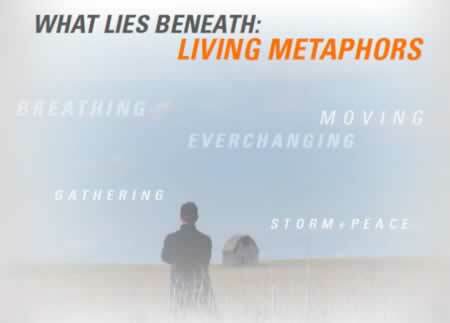 But metaphor is bringing something across — to bear ideas across a border of consciousness. 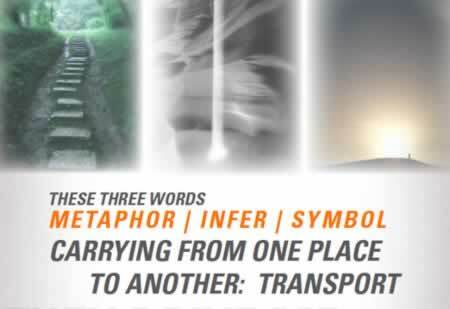 What metaphor transforms your message? What catalyst loosens the cascade of ideas? 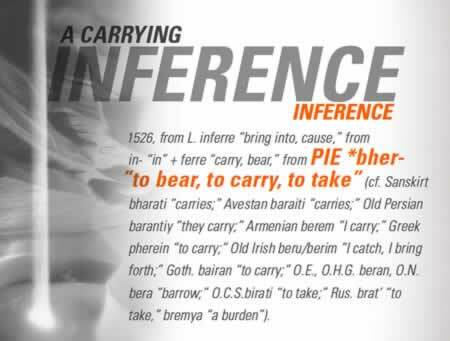 The idea of inferring relates, as well, to the conceptions of carrying — a ferrying, literally. And this transference is the passage from one plane to another — it is linking forms of thinking in new alignments. What do you carry, what does your brand carry? And how do you enable it? Finally, the symbol. This sequence of explication is extended in the symbolic expression — a throwing, a hurling of idea from one level of perception to another. It’s a lightning bolt. Symbol is the mark of the real — it is the exemplar of the known — and that to be discovered. It is the badge of inferring, it is the metaphor of transition. Each, to carrying, opening new portals of seeing and the perception of design, of brand, of story. These treatments show the pattern of revealing light. 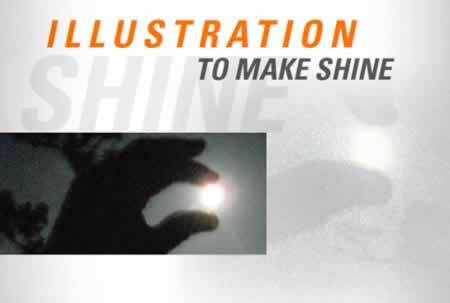 The illustration is a lustration, a shining, a revelation of illumination. And, as designers, that’s the work — showing something in a new light. It’s a surprise, a new revealing—a captivating revelation. I’d offer that this entire sequencing relates to storytelling — as a raconteur, the entire intention is to the concept of passage: a story that is told, is carrying, is a portal, from one to another — one place to another. And indeed, the story is about placement — a story is told in one place; and a story appears in another place. That passage is effected in the telling. 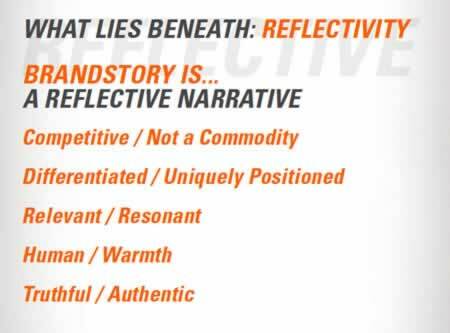 Story is about reflectivity — one story becomes another; it is shared, exposed, explored; and that story can become mine, become yours. And it can be spread — over and over again. Clearly, history and story are linked—that’s obvious. The idea of a person relating to the story is about personal narrative—people hold stories for themselves. But more importantly, the idea of story and consciousness and memory — they are how the mind formally connects. Life story is a string of rhythmic expressions and encounters. We hold that, in this manner — my life isn’t about facts; it’s about stories. 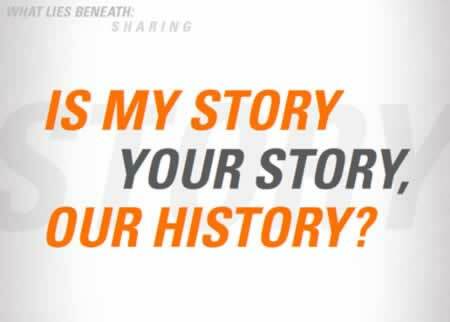 What’s my story? It’s not about design training. It’s about design exploration. And exploring design, drawing, writing, creative development through the eyes and art of history. Why does a cathedral look like that? Who designed the principle of the book? Why does a temple in India have a certain kind of site positioning and structural design—how’d that happen, where did it come from, what does it mean? What’s the history of the letter A—4,000 years ago? Why was printing invented in China? What is the relation of myth to design? How does culture express itself in music? Or architecture? Or literature? Or design? Not now, but for the last 3,000 years? That’s my training. It is about design in the sense of description. It’s about description in the sense of design. Sign and script. 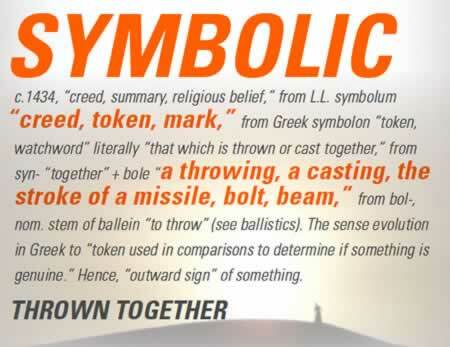 Symbol and metaphor. Inference and illustration. My real passion, decades ago, was the biological sciences—and, in fact, I’d surmised, planned, deployed that this would be my career. Mostly as an experiment, I had no clue as to how I’d survive. I’d had a profound astonishment of nature from my earliest beginnings. I love, and still savor, a fascination with all living things. 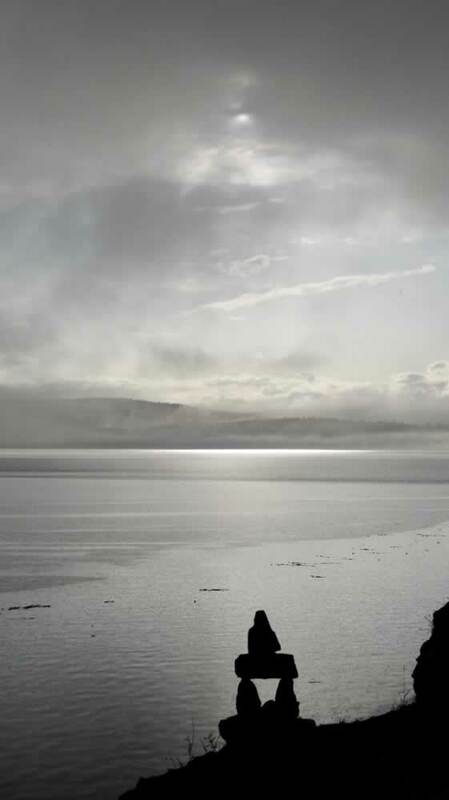 But then, a real captivation was the sea. What I loved about the focus on marine biology was the undiscovered nature of it—the depth of it; and perhaps to this examination, it was about the hidden, the unknown—the mysteries that lie beneath. I did laboratory journals that were complex assortments of content—carefully arranged books—of illustration and overviews. Most of these are long gone—the professors took them; but even in high school, the idea of thoughtfully arranged content was compelling—an added fascination into the composition of content. 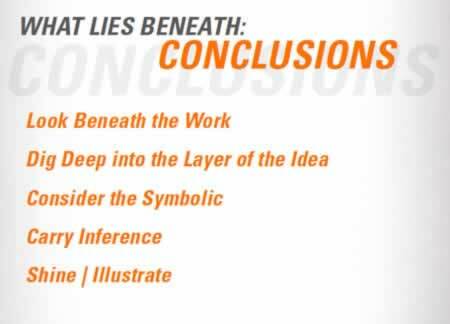 That’s what I “mean”: entwinement, interminglement, layering and threading, an early theory of composition and brand storytelling. Integrative narrative. I studied medieval art history, then asian art, then architectural history – internationally. 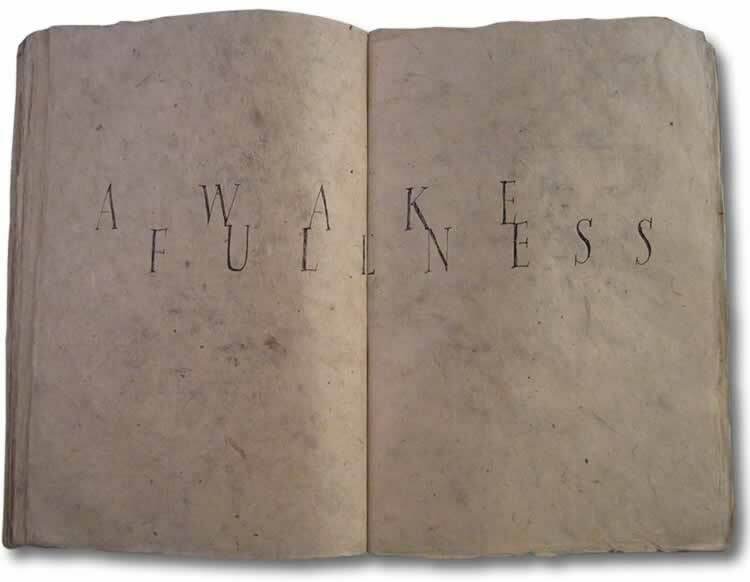 The design of sacred architecture, books, aesthetics and art theory — the why; I dove into the history of the word, globally: the alphabet and calligraphy, printing, papermaking and the proportions of buildings — their siting — and the concept of procession: coming into a sense of place. And I traveled. Rather than merely hanging out in college I left—hit the road, from NYC to LA, Paris to Frankfurt, Tallinn to Moscow, Chicago to London, connecting with the best of the best, learning more, exploring more. And learning more about what lies beneath. These explorations lead to key components in my life as a designer — and doing what I do now, and what I did then. In seeking out the threads of what lies beneath — I visualize that presence as a string, a note, a sound, a melody, a song. And the work that we do, in exploring the brand, it’s about finding your own story, and the heart of it in relation to the work. What do you believe? M Y T H I C.
T R A N S F O R M I N G.
But, in the realm of brand, design, symbology and the metaphors of doing, it’s never merely about conjecture. It’s never about theory, alone. It’s about doing the work and applying the thinking. That idea of content — the shaping of meaning — is another of those aligned words. 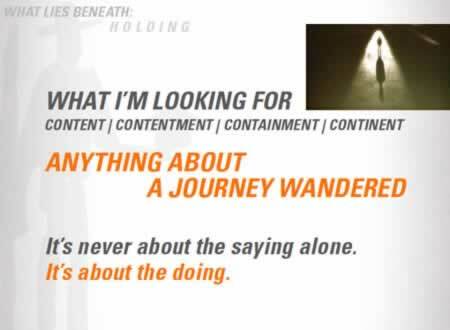 Content > Contentment > Contain > Container > Containment > Continent. Writing a talk for a group of marketing executives, I was making notes about what to talk about. 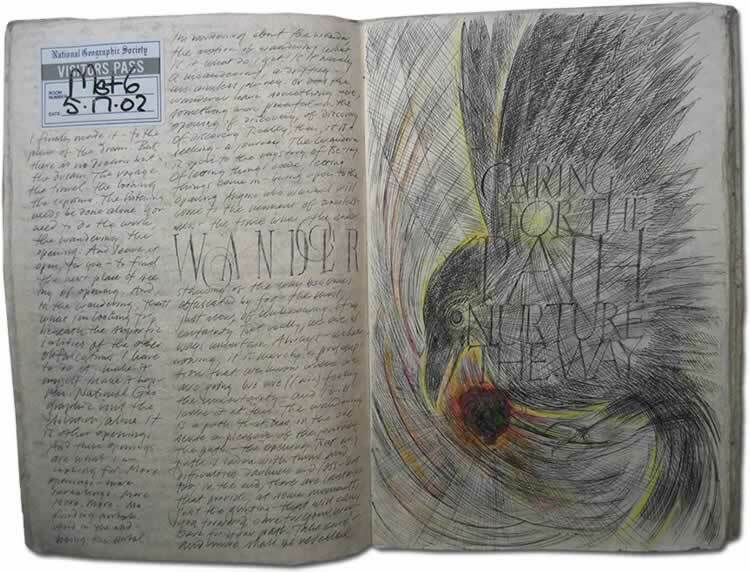 To points of inspiration, I carried a journal, just for that purpose. Making notes, gathering thoughts—for several months. And I considered that link between content and contentment. 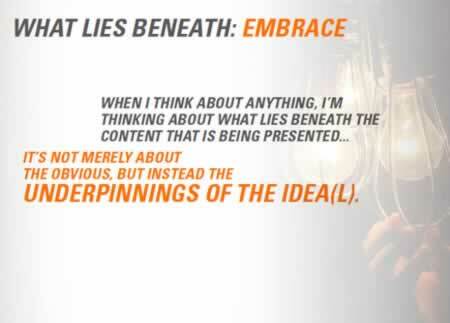 Content—what is held–embracement, the holding of ideas. 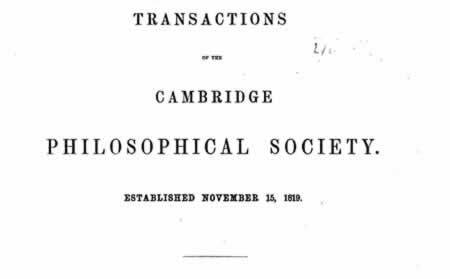 There’s a link, in satisfaction, between the conceptions of content and contentment. There’s a bridge there, I believe. This is tenet. Tenere, Latin, is “hold.” And the work that we do, what we explore, is really about what is held. How does anyone embrace the offerings that you make? Story is there. Memory is there. What did you mean to do? And, to another examination—the psychic space of each of these is about holding. What do you hold in place? In the place of you? And that concept of holding is really about embracement. To a string of “E’s” in this conception, we offer this notation. It’s one thing to merely hold on to something, a concept, it’s another to embrace it. To embrace is to clasp—to hold in one’s arms. This is the search—finding more—creative: pathways, journeys, fountains, explorations, solutions. There is always the concept of the obvious—what’s easiest? But then there’s more, looking beneath the commonly held. Go down, go deep. 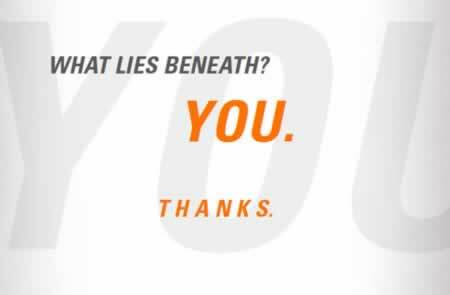 And that idea of looking in, finding what lies beneath is, too, the spirit of working with people—working with humans—they’re [the humans] complex and it’s never, ever, what’s on the surface alone. That idea of relate–to carry—is about the story. That is an inherent beauty in the human experience. To relate. What’s the story. What do you carry forward? Therefore, the relationship—the relating—is just about that: story. There is a string on that expansion, here. Each of these, below, is the beginning of a story and of a brand. The brand story is at the heart of these business propositions. 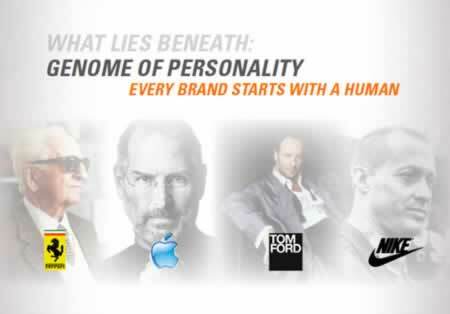 And the person is at the heart of the brand. Every brand is made by a human, for a human. That leadership founds and fires the soul of that enterprise — so working there is at the center, the heat of the flame. I’ve worked with two of them. One, a connection to Tom Ford, his team—exploring his brand, story; this in part from a spin-off on the work for Yves Saint Laurent. And then Gucci. 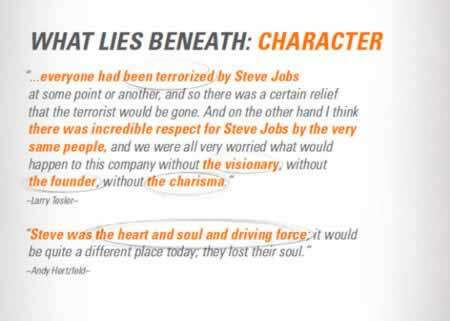 But the real client—to the spirit of fiery human brands was Steve Jobs. And I worked for him, at Apple. 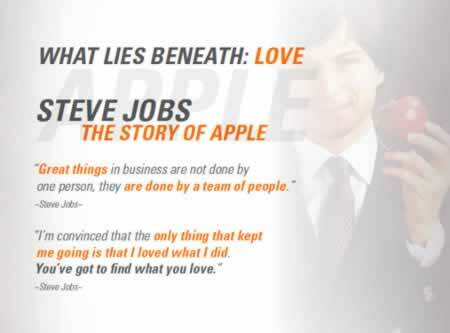 The nature of the story, the founding heart and premise of the brand comes from Steve—it creates a sphere of influences. They are radiant emanations. Teams radiate around them, legends are born, enterprises are ignited, communities are built—global myths expand. That modeling is something that is truly dimensional—spherical, a wholly circular resolution; it’s not just about the flat brand planes of messaging—but it’s built, a constellation. And like the string of sound that vibrates one’s life—that selfsame cord, and resonant chord, is there. There are points of distinction – the lines of competition, the stinging note of differentiation, the sense of relevancy and resonance, the ratchet of humanity, the warming tone of truth, wholesome authenticity and finally, in all — how reflection works, in both directions. 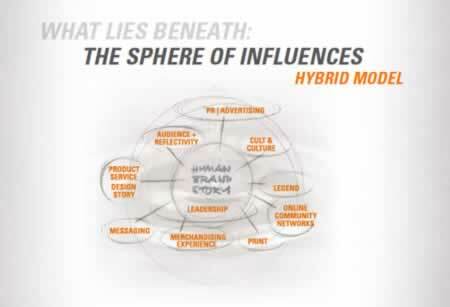 Brands are human, humans are brand — brands are stories that are shared, loved and embraced, or despised and discarded. The spirit of being with, working with Steve Jobs, back in the beginnings and later, at NeXT, Apple Developers Worldwide, Apple Internet Live! and other hardware initiatives, the point was being close to the soul of the organization. There was noise, energy, some tantrums, some shouting, but there was passion, there was focus—and resolve, to be and make the best, regardless of the market milieu. But really, it’s all about love. It’s about the passion of brand—and brand love. 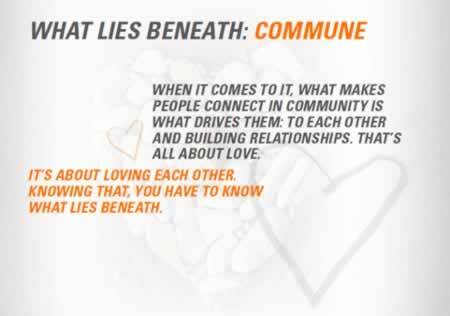 But really, the nature of what lies beneath is about love. Do you believe in, do you really love what you do? What you make? And, what about the idea of how that feels for the audience? The marketing realm is out there, and do they feel that heat? In a manner, the concept of passion slips that way—passion lives on the edge of madness. It is about risk of enormous order — it is about exposure, honesty and the authentic edge of reaching to the outer seal of the envelope. What that means is that if there is sufficient drive, to mobilize the brand, the organization, the teams, community outreach—there is the potential for a ignited enterprise—everyone gets it, everyone buys in (or they leave.) And finally, there are prismatic reflections of the brand that are each slightly different, in their tinting—who sees them and how they envision their role and participation, but still—they all come from the same point of illumination. It’s been postured to me: if there’s a brand that comes from one person it isn’t sustainable. But the point is that any brand, in fact, comes from a person—or a team of people. And, more often than not, there is one person at the center of that ring—it ripples outwardly, ring on ring. The positioning of any brand must be fired by a proposition that is derived from a visionary point of view — there surely can be, and shall be, added inspirations to the mix of talent that is linked in the circle — but there is beauty in the warmth of the center. That is the place of soul. It’s time for mature brands—and people—to manifest the capacity for communing—in community—and founding a sense of commitment to what would be commonly referenced as common ground. It’s not only about internal passion—but that sense of incentive needs to spread externally — with a foundation on the commonality of us all. When I think about the idea of exploring the relevance of all this to me, personally, and Girvin, the firm, the point comes to seeking out the metaphors, the symbols, the catalysts that build positioning for the person — and finally too, the brand. In the work that we do, the leadership is inherently the focus; and sometimes, it’s just the person alone, and what strategies and insights shall drive their messaging and external visual vocabulary. In the legacy of my personal challenges, and the search for meaning in ideas, I am constantly looking for references in inspiration. And it doesn’t take much. Just look around—what’s symbolizing inspiration in your life. For me, in addition to all the references up to this point, it’s about the weather. 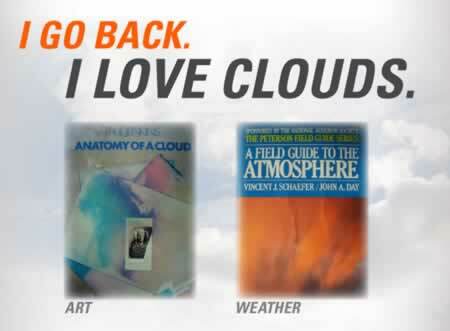 Particularly, for the last 20 years, the clouds. While I’m no expert, I can say, coming from the position of being the son of a son of a farmer, we study the weather. We watch what’s happening. If there’s a storm—it’s a good idea to be out in it. If there are clouds on the horizon—the three points to examination might be: beauty, type, outcome. But the clouds, for me, have become increasingly metaphoric in other writing and development that I’ve done, and GIRVIN’s been experimenting with. 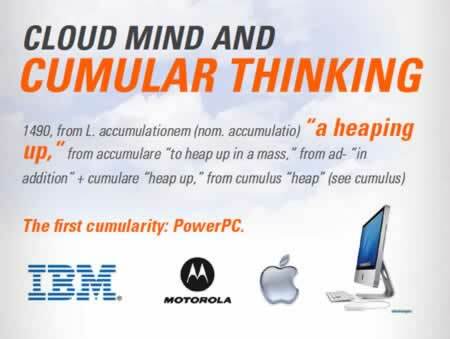 The metaphor of the cloud, the mind and an accumulative form of thinking that I’ve called—from an antiquated British scientific paper, cumularity or cloud mind. I’m not trying to trademark any marketing positioning around this premise—more so, I’m working the explorations that I’ve referenced all along in this overview. Go deep, find. This image is emblematic to the concepts of clouds—the poetic and metaphoric overview. But the conceptions of the cloud mind is about working in teams to find cumulative gatherings of points of view. From the client side, building workshops that are designed to stimulate creative action and insight. The concept of cloud mind presumes a vaporous movement—clouds move, turn, roil, mist and diffuse. And in the context of creative action—and creative, branding workshops, the principle relates to an accumulative process and presence that cannot be manifested in the one alone—but rather, the group of minds—clouds—together. Being a student of clouds — and the weather — I’ve used that metaphor as a statement of process in bringing people together to explore — under the instrument of the guidance of “wind”, a current of movement; the direction of the event. Where the movement takes the current of imagining. The concept of the cloud comes from an earlier exploration. Two points of exercise—one, the constant study of the weather, the alchemy of atmosphere. That idea of exploring weather often finds itself holistically expressed in the spirit of the cloud—the obvious manifestation the molecules of water and oxygen. The other point of inspiration was another single book. “Anatomy of a Cloud”, by Paul Jenkins, a painter and an articulate writer and philosopher. This was the 70s. This now. And I was struck by the power, the concept of the idea—and as well, finally, the evocation of his rushing washes of colors and collage assemblies. 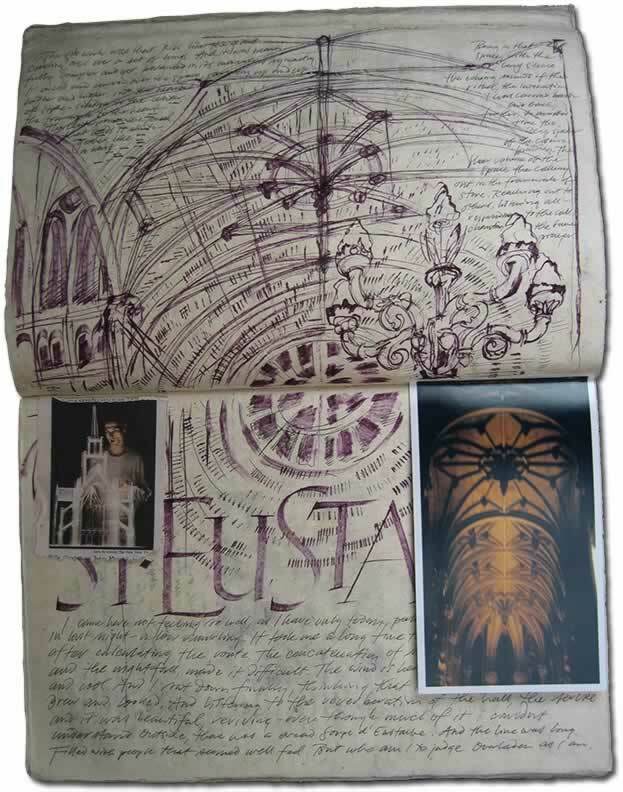 I studied his work, his writing and from there, the ideas remained and germinated. 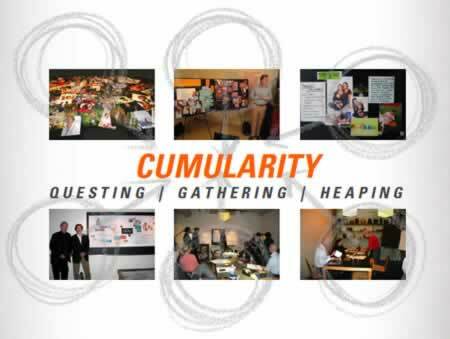 The notion of the cumular minds, the accumulative process of gathering ideas in innovation workshops goes back decades. Here. IBM | Apple | Motorola > PowerPC. This was the first time that I ran a workshop like this — working with teams from all three companies, building out the launch of a new technology and microprocessor the RISC PowerPC chip, that ran an entire gamut of technology hardware — from the Apple PowerPC series, to IBM platforms; and finally, Motorola telephone hardware. The real alignment is about people. From the humanity in the beginning, it all aligns with the multiple minds in the presentation of exploration and the ideation that can emerge in effectively organized branding or product development charrettes. Besides that, it’s far more fun working with a crowd, than alone. The process for GIRVIN is constantly changing: brands are living entities, how one thinks about them, BrandQuest® is an evolutionary enterprise. From the beginnings of note taking, basic imagery, strategic sorts and visualizations, to brand haiku, clothing, brand scents, photographic safaris, games, charades, strategic mapping, writing workshops, personal storytelling and profiling, anthropological considerations, consumer interceptions, catalysts and a constantly shifting array of new techniques of ideation and exploration. Loosely, the sequence can work in the following manner. 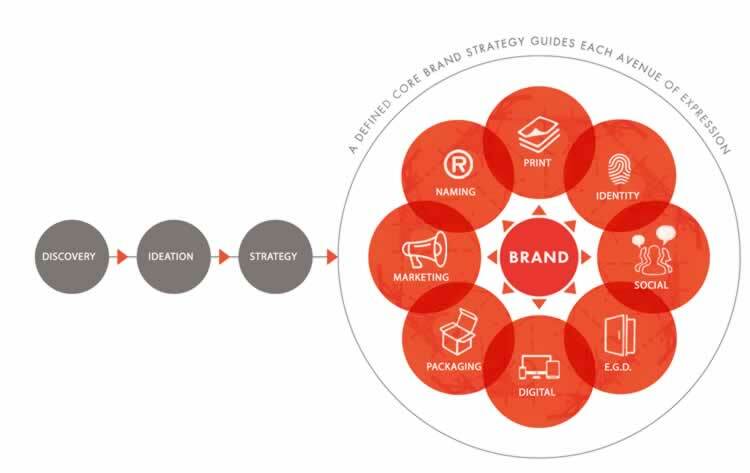 BrandQuest® or the brandquesting process yields outcomes—core strategies, messaging and visualizations, as a result of the cumulative mindset—fresh ideas are revealed, new forms are conjoined and leadership teams are builders and are built as newly aligned teams—with a singularity of purpose. 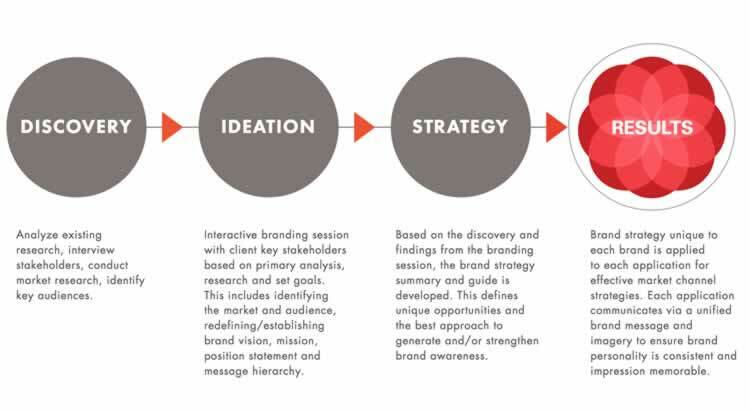 The BrandQuest® operates as a meander, agendas can shift, yet this is tactically a linear exploration—guided and moderated by GIRVIN—lends the outcomes of holistic brand solutions, all founded on extraordinary collaborative innovations. And has worked for nearly two decades of evolution. 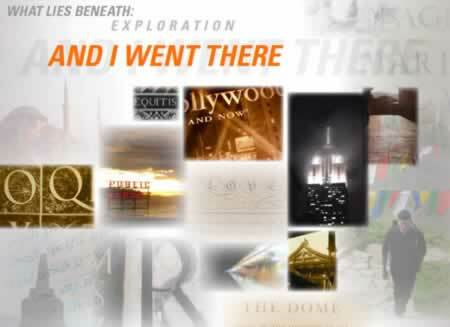 More on the spirit of the brandquesting method — live — can be experienced in this session overview. What are the solutions that emerge in the consideration — the carrying — of all these examinations?